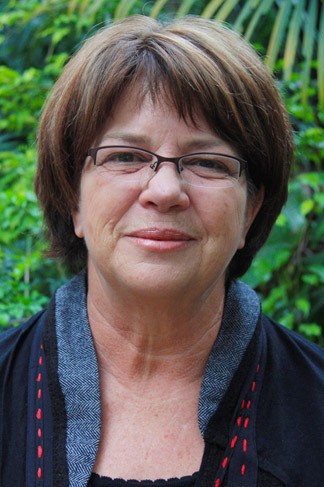 Kay Boulden is an education consultant, specialising in research and development activities in Indigenous education. Kay worked for many years as a teacher and Head of Department, and for a decade in social justice policy development and management for the Queensland Department of Education, including three years managing the statewide Partners for Success Strategy in Aboriginal and Torres Strait Islander education. She has extensive experience working in Indigenous communities in Cape York and other parts of Queensland on a range of issues. These include strategic directions in Indigenous education at the national level, literacy pedagogy for speakers of Aboriginal English, improving school attendance, community capacity building, strengthening relationships between schools and their communities, transitions from school to work, strengthening parenting capacity, and early childhood education. In addition, Kay developed the materials for the National Safe Schools Framework, and has researched and published widely in supporting pregnant and parenting students to complete school. She is also National Coordinator of the Australian Young, Pregnant and Parenting Network.